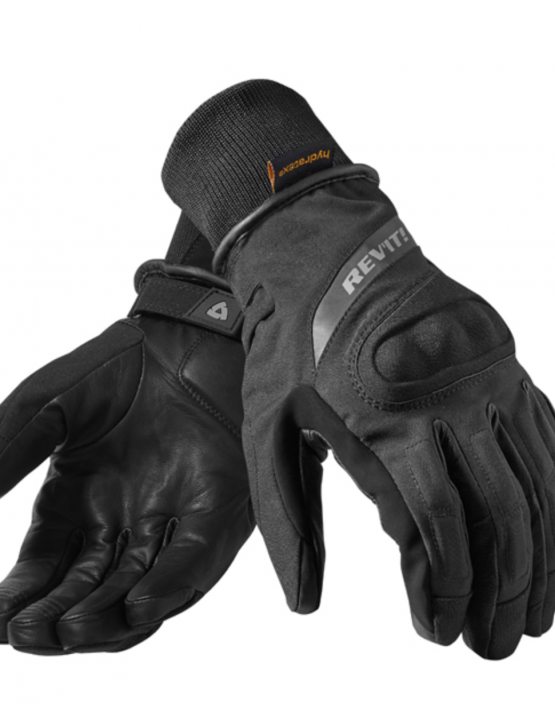 Product ID: 4940 Categories: New Arrivals, Moto, Accessories, Gloves Tags: Gloves, REV'IT! The short-cuffed Hydra H2O gloves are perfect for cold and wet urban days thanks to the waterproof hydratex® membrane and insulating Thinsulate® G liner combined with warm tri-fleece. 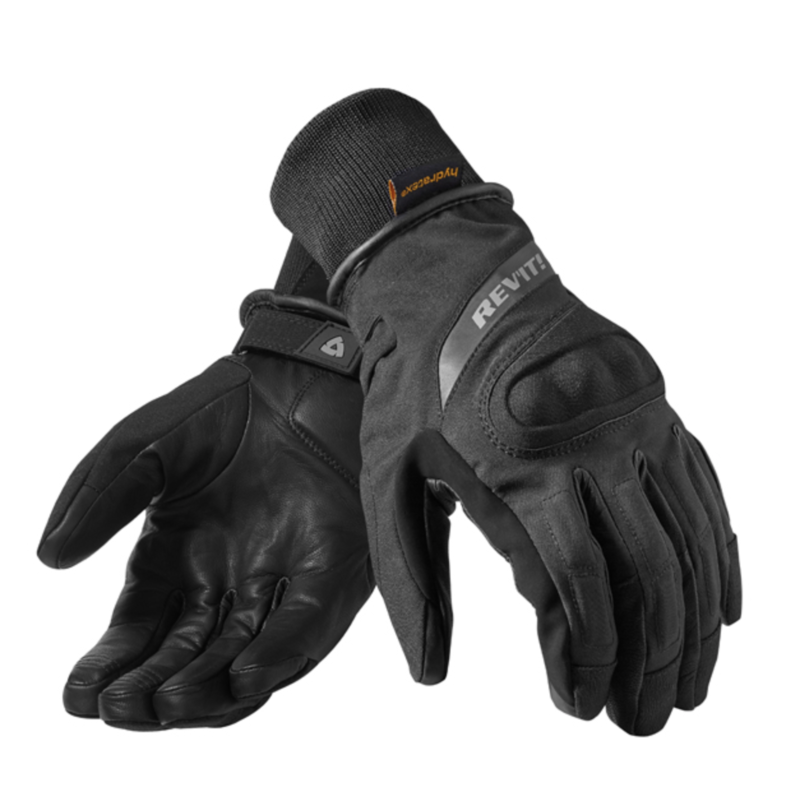 Protection comes from a hard-shell knuckle protector and Temperfoam® at the fingers, thumbs and palms. 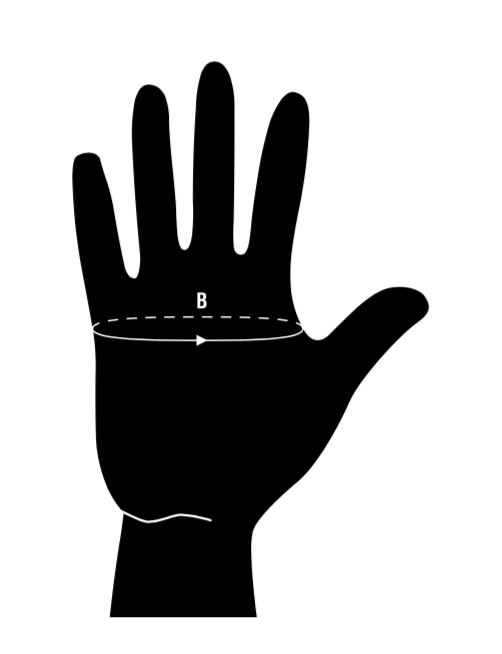 An adjustment strap at the wrist allows the rider to customize the fit. In the rain, a visor wiper allows the rider to keep a clear view of the road, while the connect fingertips allow the rider to operate touch screen devices such as a smartphone without the need to remove a glove.